Cytox Group Limited is a precision medicine information company whose mission is to transform how treatments are developed, people are screened and therapies are prescribed for the most prevalent neurological diseases, including Alzheimer’s disease. Alzheimer’s disease today impacts over 46 million people globally, reaching 74.7 million in 2030 and projected to grow to over 131 million people by 2050 with an economic impact to exceed two trillion dollars. Leveraging the proprietary Cytox variaTECT™ SNP genotyping array, Cytox SNPfitR™ interpretive software for polygenic risk scoring and running on the proven power and scalability of the Applied Biosystems™ GeneTitan™ Multi-Channel (MC) Instrument platform from Thermo Fisher Scientific, the company offers genomic profiling testing assays and services to early access collaborators in academia and biopharma pursuing clinical research and drug development. The service is designed to help researchers and clinicians access the biology and genetics behind dementia, stratify patients to enable more cost effective and information rich clinical trials, and ultimately establish risk for cognitive decline and matching with the most appropriate targeted therapy. Cytox is headquartered in the United Kingdom with offices in Manchester and Oxford. Assays and services are available to pharma, biotech, large cohort studies and early access collaborators globally. Cytox’s assay and testing services are for research use only and not for use in diagnostic procedures. Richard Pither has been involved in the development of diagnostic and therapeutic pharmaceutical products for more than 20 years. 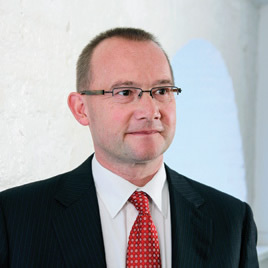 He has held senior R&D and leadership positions in global pharmaceutical companies including GE Healthcare (Medical Diagnostics), UCB-Celltech, Lorantis and Amersham plc. During this time, he was involved in the development of a novel 18F-PET radiopharmaceutical for imaging amyloid deposition in the brains of Alzheimer’s disease patients. Alex has over 20 years’ experience working in diagnostics with a substantial track record of delivering value to the business through technology collaboration through partnering. He began in diagnostics R&D and has worked across all disease areas but more specifically in later years within neurodegeneration. As Head of Research Alliances for GE Healthcare he led many initiatives to work across the diagnostic/ therapeutic interface including working with big pharma in the utilisation of PET imaging in Alzheimer’s disease trials. Kevin has more than 25 years’ experience in product business development as an expert in Precision Medicine, Molecular Diagnostics, Pharmacogenomics and Organ-on-Chip Approaches. Before joining Cytox as responsible for global health market development, he has covered crucial roles in management and marketing for several companies such as Accelrys, FedEx Office, Microsoft, Akonni Biosystems, Adi Instruments, PharmaSeq, Thermo Fisher Scientific and Nortis. 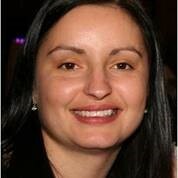 Paula has a wide experience in project management for drug discovery and clinical trials. With a PhD in Theoretical Chemistry, she began as a computational chemist for Zeneca Pharmaceuticals; later joining AstraZeneca as a project manager leading cross functional thematic projects to support and develop novel processes within early drug discovery. She led up to 4 simultaneous global product teams through early drug discovery to Phase III clinical trials. In 2017 Paula joined Cytox Ltd where she is now responsible for the biomarker project management for Alzheimer’s disease assessment. With extensive experience in bioinformatics and genetics, Olu has a MSc in Molecular Pharmacology and Biotechnology as well as a PhD in Systems Biology. He worked as a bioinformatician for more than 15 years at Montana State University, the University of Manchester and the University of Cambridge. He then worked as data science fellow for S2DS and as a bioinformatician at Discuva. He joined Cytox in 2017. Tony Hill has been involved in the diagnostics and molecular life sciences industry for 30 years, with especial experience in restructuring and growing domestic and international markets. He has held senior roles in sales and marketing in international diagnostics and molecular life science companies including TwistDx Ltd (part of Abbott Diagnostics), Diasorin Molecular, Innogenetics and Sigma-Aldrich. Andrew brings a wealth of highly relevant experience from both large companies (Amersham Biosciences; GE Healthcare; Thermo Fisher Scientific) and smaller biotechs (Teraview; deltaDOT; Akubio, BAC B.V). David is a Venture Partner with Catapult Ventures, having worked alongside Catapult and its portfolio companies for a number of years informally. He has a wealth of experience in diagnostics and molecular biology and understands what it takes to grow a successful life science business. 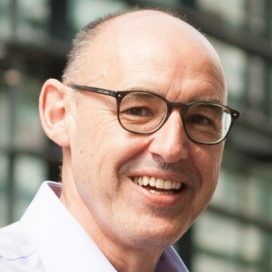 David co-founded DxS Diagnostics in 2000 to expand upon technology he developed at AstraZeneca and sold the company in 2009 to Qiagen for in excess of £100m. Professor John Hardy is a geneticist and molecular biologist whose research interests focus on neurological disease. He was Head of the Neurogenetics Section, National Institute of Ageing, Bethesda, USA and in 2007 took up the Chair of Molecular Biology of Neurological Disease at the UCL Institute of Neurology, London, UK. With over 23,000 citations, Professor Hardy is the most cited Alzheimer’s disease researcher in the UK (5th internationally). Professor Williams is a senior figure in the field of Alzheimer’s disease genetics research. She is Associate Director of UK Dementia Research Institute at Cardiff, a former Chief Scientific Advisor to the Welsh Government and Alzheimer's Research UK, and she is currently one of the four leaders of the International Genomics of Alzheimer’s Project (IGAP) genetics consortium. This incorporates over 400 scientists from Europe and the USA and has access to more than 90,000 AD cases and controls. She has identified at least 25 risk loci for Alzheimer’s disease implicating the roles played by immunity, endocytosis and cholesterol processing in disease development. Professor Escott-Price is a genetic statistical expert in Alzheimer’s disease genomic analyses studies, Dementia Research Institute (DRI) at Cardiff, Institute of Psychological Medicine and Clinical Neurosciences, Cardiff University School of Medicine, Wales, UK. Cytox’s scientific founder, Dr Nagy, is well known for her groundbreaking work on the involvement of the cell cycle in neurodegenerative diseases which started a new chapter in the history of neurodegeneration research. For over 20 years she has been working on the pathogenic mechanisms of Alzheimer’s disease, novel biomarker development and early stage drug discovery for disease-modifying drugs. In 2004 she moved to Birmingham University Medical School, UK, where she now holds the position of Senior Lecturer and Lead of the Neurodegeneration and Repair team in the Department of Neuropharmacology and Neurobiology. Professor Hampel is a word-leading researcher with vast expertise and reputation in neurology, psychiatry and cutting-edge neuroscience research. With 20 years of experience, he has successfully developed international research programmes dedicated to Alzheimer’s diagnosis and therapeutic algorithms. In 2013 he was awarded the AXA Chair of Alzheimer’s disease, University Salpêtrière Hospital in Paris, University Pierre & Marie Curie (UPMC), Paris, France. Professor Dubois is principal or co-investigator of a number of research and Government programmes focusing on AD, and dementia in Parkinson’s disease and has published more than 550 peer-reviewed articles in this area. He is Professor of Neurology at the Neurological Institute of the Salpêtrière University Hospital at Paris, UPMC, Paris France, as well as Director of the Behavioural Neurology Department and of the Dementia Research Center at the hospital. Associate Professor Laws’ research primarily focuses on understanding the genetic and epigenetic architecture of Alzheimer’s Disease and related phenotypes. He is an Associate Professor in the School of Medical and Health Sciences, Edith Cowan University, Perth, Australia where he leads the Collaborative Genomics Group. 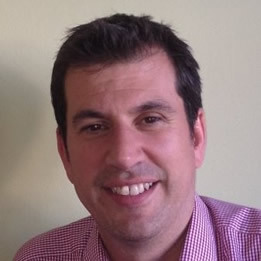 Simon also currently leads the genetics stream in AIBL (The Australian Imaging, Biomarker & Lifestyle Flagship Study of Ageing) and from 2011 till the end of 2017 was the Deputy CSO of the Cooperative Research Centre (CRC) for Mental Health. Cytox has developed the groundbreaking variaTECT™ SNP research array for assessing Alzheimer’s disease risk. The variaTECT panel utilises the proven power and scalability of the Applied Biosystems™ GeneTitan™ Multi-Channel (MC) Instrument platform from Thermo Fisher Scientific. The array is easy to administer and simply requires genomic DNA, e.g. from a blood or saliva sample, clinical sample archive or biobanked DNA. Cytox offers genomic profiling testing assays and services globally to pharmaceutical and biotechnology companies and research laboratories pursuing clinical research and drug development. Cytox has partnered with leading CLIA-compliant genomic laboratories running the Applied Biosystems GeneTitan Multi-Channel (MC) Instrument platform to offer Alzheimer’s disease risk assessment globally to pharma, biotech and research labs pursuing clinical research and drug development in Alzheimer’s disease. AKESOgen is a biomarker, genomics and pharmacogenomics contract research organization performing biomarker profiling and genomics services utilizing different types of markers (e.g. DNA, RNA, methylation) for the R&D market. AKESOgen provides premier research services and the highest quality data with scientists with decades of genomics experience. Serving clients in biotech, pharmaceutical, academic and government research/testing, the company offers CLIA compliant lab with strict process controls. Eurofins Genomics, a member of the Eurofins Group with facilities in Europe, the United States and Asia, is an internationally leading provider of DNA sequencing services, genotyping services, DNA synthesis products and bioinformatics services for pharma, diagnostics, food, agriculture, biotechnological and research markets. The company's strength is its extensive customer base and high quality services in industrial scale for the life science industries and academic research institutions around the world. Cytox assays can be run with service laboratories equipped to run the Applied Biosystems GeneTitan Multi-Channel Instrument platform anywhere in the world as selected in partnership with the study sponsor. We have positive experience with such laboratories in Europe, USA and the UK.